Las Vegas Fire and Rescue dispatchers were honored Tuesday for their response during the 1 October tragedy. A total of nineteen 9-1-1 operators answered hundreds of calls in a matter of hours that night. Read the full story here. SAN DIEGO (NEWS 8) – A couple of quick-thinking North County youths were honored in La Jolla Monday as heroes. Two kids from Carlsbad were given 911 Kids Heroes Awards for their brave actions that helped save the lives of their parents. 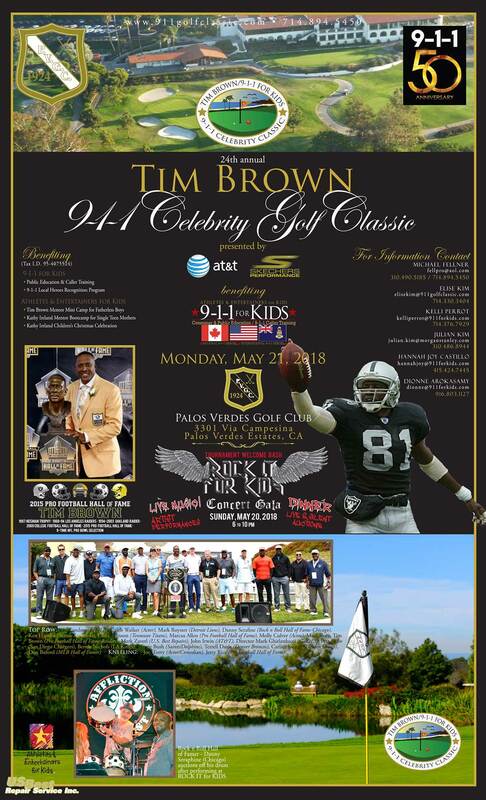 Since 1999, 911 Kids Heroes awards children and dispatchers from across America and San Diego. Congratulations to the 2017 9-1-1 Heroes honored at the APCO International conference in Denver, Colorado by Motorola and 9-1-1 for Kids! 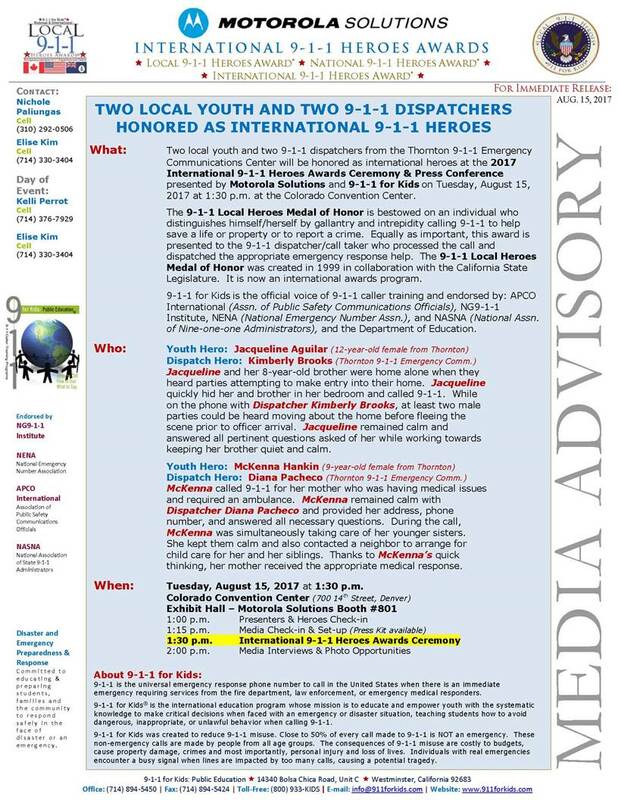 Two local youth and two 9-1-1 dispatchers from the Thornton 9-1-1 Emergency Communications Center will be honored as international heroes at the 2017 International 9-1-1 Heroes Awards Ceremony & Press Conference presented by Motorola Solutions and 9-1-1 for Kids on Tuesday, August 15, 2017 at 1:30 p.m. at the Colorado Convention Center. For full details, download the press release. 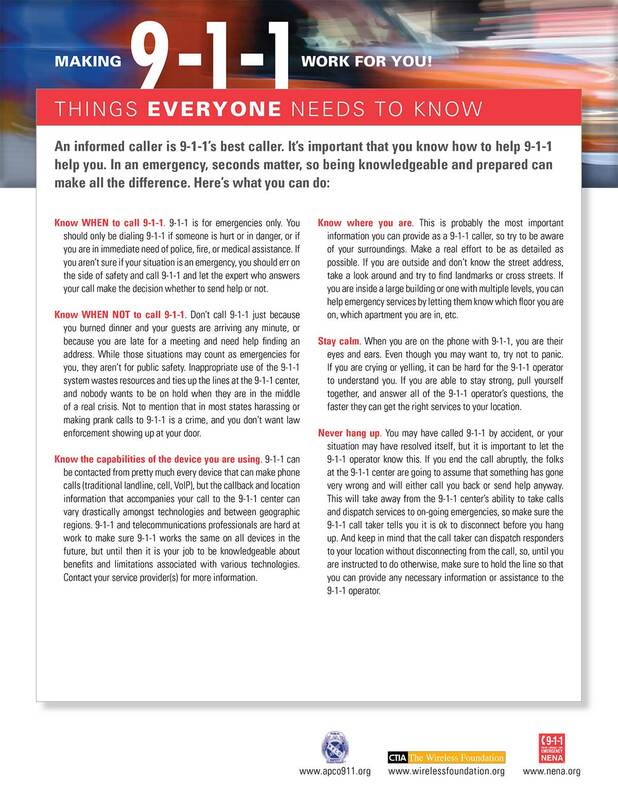 "9-1-1 for Kids is the foundation for all disaster and emergency preparedness and response training. Just like recycling, successful public education programs often take root in schools with students effectively carrying critical information home to family members, neighbors, friends and new acquaintances. 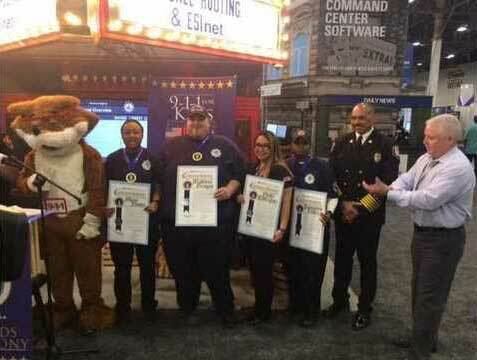 9-1-1 for Kids has proven since 1994 to have exceptional effective results."